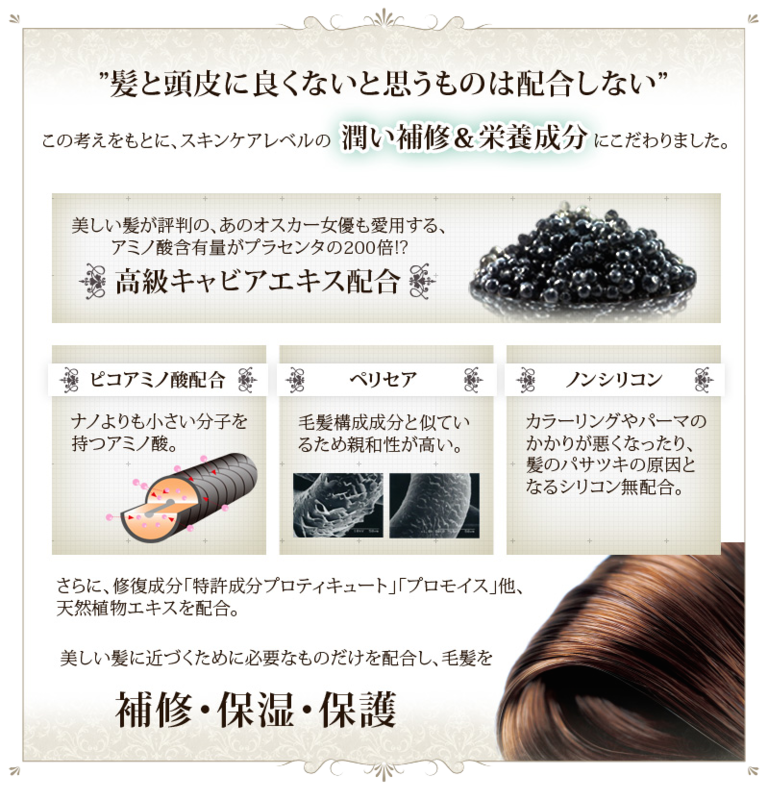 Non-silicon shampoo evolving, to make the smoothest hair with no need of hair treatment, featuring the exclusive caviar extract. Three functions in one; Repair, Moisturizing and Protection with its minute and delicate balance of all the beauty ingredients; Pico-Amino acid, Sodium Dilauramidoglutamide Lysine, 18MEA and many more. 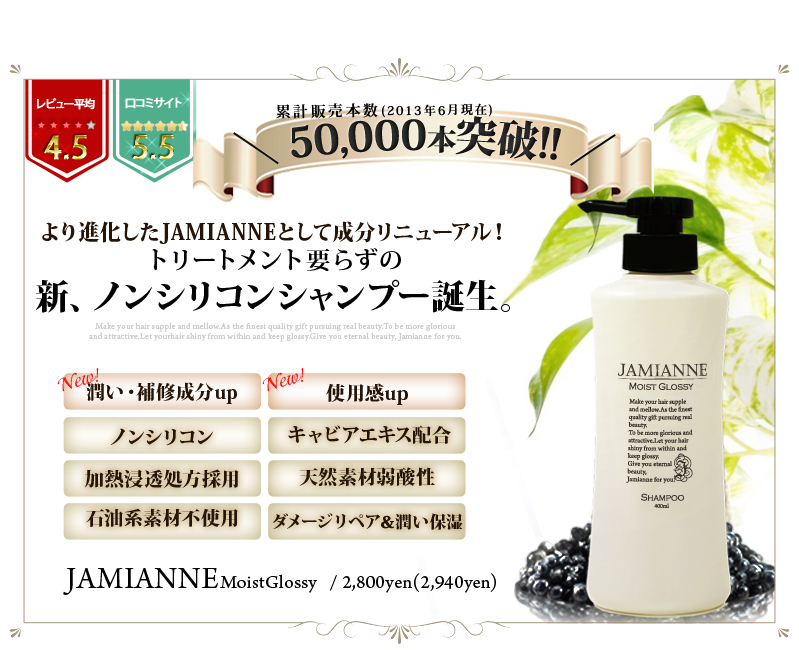 While thoroughly cleansing the hair and scalp with various kinds of natural plant extract, it effectively and efficiently provides the abundant moisture.